I am not quite sure how to handle this since Artemis Fowl had been green lit before with the casting of the main character already done. But due to budget constraints and the aging of the actors the movie was archived in the trash. But now, that Disney has once again picked up the movie rights of the Artemis Fowl books, I am not quite sure if I am going to be happy again or stay guarded in fear of this movie might not come to light for the second time. 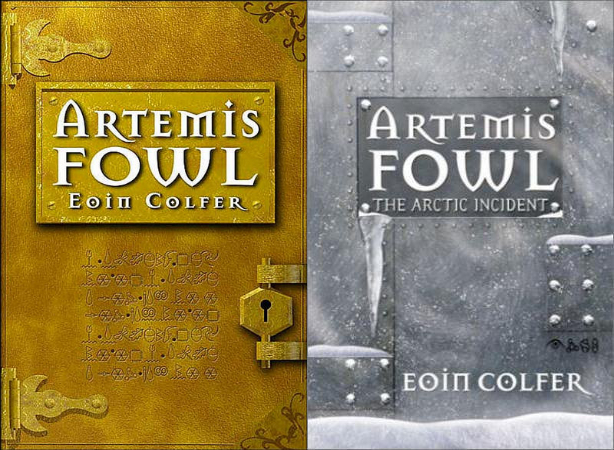 According to the news Walt Disney Studios will be adapting the first two books in the Artemis Fowl series written by one of my favorite authors, Eoin Colfer. This will be in tandem with producer Harvey Weinstein, who is best known for producing Shakespeare in Love, Gangs of New York, Lord of the Rings, The King's Speech, Kill Bill, Django Unchained and many others. Here's what Sean Bailey, president of Walt Disney Studios Motion Picture Production, has to share about this news: "With its balance of mystery, adventure and family appeal, 'Artemis Fowl' is a natural fit for Disney. We're looking forward to collaborating with Harvey on this exciting project." Alan Horn, chairman of The Walt Disney Studios also added that, "Harvey is one of the preeminent producers in the industry, with impeccable taste and creative instincts. I had a wonderful time working with Harvey during my tenure at Warner Bros., and I'm very happy to continue that relationship here at Disney." Producer Harvey Weinstein also shared: "If you would have told me five years ago I would be producing a project with Disney I would have thought you were crazy. I feel as though everything is coming full circle considering Bob De Niro and Jane Rosenthal brought me this book while I was still at Miramax and within hours I told them I wanted the rights to the film. I am thrilled to be reunited with Alan Horn who I worked with while he was at Warner Bros. and we had tremendous success with 'The Aviator,' 'Starsky and Hutch' and 'Teenage Mutant Ninja Turtles.' It is also exciting to partner with friends Alan Bergman, Sean Bailey and of course Bob Iger who has been incredibly generous to me over the years. This is a special project for me because my children absolutely love this book. This story is for everyone and there is no one better than Disney to make a film that will excite people young and old."